A 2012 deal between the U.S. and Mexican governments that addressed how to apportion Colorado River supplies in drought conditions is expiring at the end of 2017, and negotiators are in overdrive trying to renew the pact before the Obama administration leaves office on Jan. 20. The talks are being closely watched by California officials. The Golden State relies heavily on Colorado River water, with an entitlement to 4.4 million acre-feet a year. That’s enough to supply nearly 9 million households, though a big chunk of the supply is used to irrigate the hundreds of square miles of agricultural fields in Imperial County (pictured) and the Coachella Valley. Why the rush? Because U.S. and Mexican officials believe a new deal is crucial to preserving fragile Colorado River supplies. They also want to maintain a hard-won cooperative relationship after years of fighting over the water supply that is relied on by seven American states and two Mexican states. They worry that progress toward completing the deal will stop when the Trump administration takes over — whether or not Donald Trump continues to target the Mexican government over immigration and the 1993 NAFTA accord. The Colorado River’s source is the snowpacks of the Rocky Mountain National Park. The river extends nearly 1,500 miles to the Gulf of California, east of the Baja California peninsula in Mexico. A 1944 treaty apportions water between U.S. and Mexico, guaranteeing our southern neighbor at least 1.5 million water acre-feet a year. The 2012 compact filled in the blanks on who gets how much water during a drought and also required the U.S. to pay for water conservation efforts in Mexico, such as minimizing water waste in agriculture and upgrading water conveyance infrastructure to make it more efficient. If the compact expires without being renewed and water levels in the Lake Mead/Hoover Dam reservoir keep plunging, then existing laws kick in that would require cuts in supplies to those with claims on Colorado River water, starting with Arizona, Nevada and Mexico. U.S. forecasters expect the Southwest’s drought to continue and the automatic cuts to be triggered in 2018. Both the U.S. and Mexican governments much prefer the alternative of working jointly to improve water conservation among residents and agricultural users and in conveyance. But there are bureaucratic obstacles to getting the deal to the finish line by Jan. 20 beyond the haggling over the apportioning over water supplies. The most prominent is the fact that Arizona state law requires the Legislature to ratify the water compact, and there’s been bad blood between California and Arizona over the Colorado River since 1934. Arizona has “junior rights” compared to California and thus would face more severe and immediate cuts if the water levels in the Hoover Dam keep declining, with California facing no immediate impacts until levels were so law that a federal “water czar” would step in to apportion supplies. 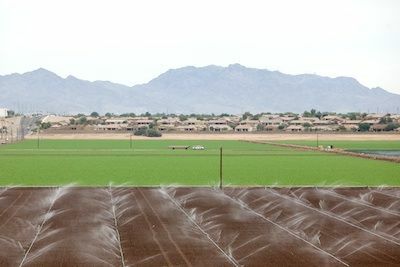 Arizona officials have floated the idea that California should voluntarily relinquish some of its guaranteed water to lessen the potentially devastating impact on Arizona agriculture. Such a concession normally would seem unlikely in the byzantine and complex world of Western water politics. 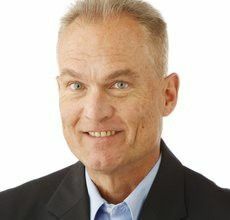 But California officials said in June that they were open to the move on a temporary basis to placate critics of a status quo in which the Golden State fares far better than others. May 1, 2013 By Chris Reed We’ve seen some very good reporting about the bullet-train fiasco from around the state.